Any group cancellation after 7 days of arrival will be charged 50 % of the total amount. We are welcome for any types of group,if the communicate us prior to their arrival.to organize their needs. 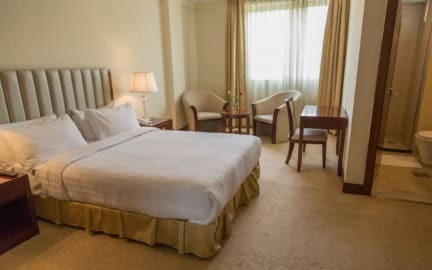 Home Town Addis Hotel has twenty-four rooms and they are furnished with international, hotel suite, and exquisite furniture providing a homely feel whilst equipped with all modern amenities such as a satellite television, room safe and in room refrigerator. Offering comfort for both local and international guests, all rooms are spacious, tastefully decorated and present a beautiful view of the city. e hope that our attention to detail shines through each and every moment of your stay. 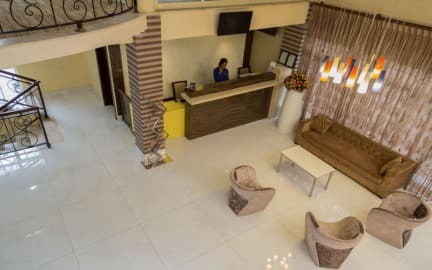 Home Town Addis Hotel is a brand new hotel located in the heart of Bole, where many restaurants, shops, malls, embassies and business centers are situated. Suitable for family vacations or business trips, the hotel is designed to make you feel right at home. Bole international airport is just 2.5 km away from our hotel. Our rooms offer the elegance, class and comfort you have been looking for your whole life. With our modern and fun motif, you're sure to enjoy any stay with us, whether you're here on business or for some fun. And all of our beds offer you the luxurious comfort of memory foam, so you can ensure that you'll sleep soundly. With our restaurant find on first floor, your taste buds are sure to dance with delight any time of the day. If relaxing is more your style, be sure to check out our luxurious spa and spend your afternoon unwinding and relaxing in pure bliss. Payment upon arrival by cash (USD,POUND, EURO), credit cards (VISA,MASTER AND AMEX). This property may pre-authorise your credit card.